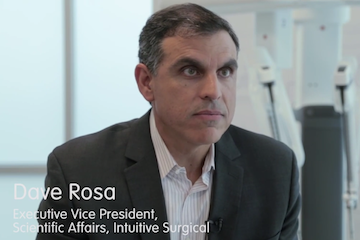 Dave Rosa, Chief Scientific Officer of Intuitive Surgical, describes the company’s core stakeholders and the value propositions that resonate with each group. 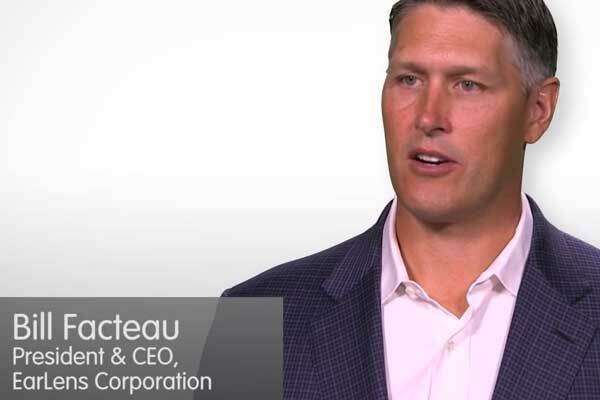 Bill Facteau, CEO of EarLens, describes his company’s offering and the benefits it provides. Jenna Tregarthen, founder of Recovery Record, explains her company’s approach to marketing an mHealth application. While the help of a marketing consultant and key thought leaders will be invaluable at this point, the following steps can be used to help the innovator devise an effective marketing and stakeholder strategy. The company must be sure that it understands the attitudes and opinions of key stakeholders about the clinical need and the solution, particularly in light of any new information that became available about the technology after the preliminary stakeholder analysis was performed. Private Insurance Websites – Sites such as The Regence Group (TRG) Medical Policy or Wellmark Blue Cross Blue Shield Medical Policies outline under what circumstances medical services may be eligible for coverage under these private insurance programs and can provide insight into payer behaviors. The Blue Cross Blue Shield Technology Evaluation Center (TEC) is another applicable resource. Public Insurance Websites – Sites such as the Medicare Coverage Center or the U.K.’s National Institute for Health and Clinical Excellence (NICE) may provide relevant information. Facility-Related Resources – To locate facility-related perspectives, try conducting a Medline search using keywords that reflect the need and author affiliations/departments related to the people working in the facility (e.g., hospital management, pathology). Trade group websites, such as the American Hospital Association and the Medical Group Management Association are other possibilities (although the extent of information provided may be limited). Draft preliminary stakeholder value propositions. Approach key stakeholders to obtain their input regarding which value propositions will resonate best with their affiliated target audience. Once the top value propositions are defined, review clinical trial designs to confirm that studies will support them. Seek input from experts on the proposed studies and what data will be required to make value propositions compelling to the target audience. Propose additional studies, as needed. Identify and approach potential study authors (e.g., community and academic clinicians, statisticians, economists). Monitor studies, performing ongoing data analysis to assess how trial results are progressing. Conduct primary market research with stakeholders to collect the needed information. Perform detailed interviews with KOLs. Revisit 5.3 Clinical Strategy and 5.6 Reimbursement Strategy, as needed. Consider pure product versus product and service mix. Explore service offerings that can enhance the appeal of the underlying product (e.g., service agreements, product bundles). Revisit 4.4 Business Models. Evaluate the offerings of competitors and substitutes. Perform additional interviews with key stakeholders, as required. Be sure that the company’s costs are well understood relative to the value the offering provides. Perform comparables analysis and supporting market research (including the status of reimbursement and price sensitivity in the data collection effort). Set a baseline price, and then consider the different pricing strategy options available to the company (e.g., differentiated pricing, bundled pricing, gainsharing, pay-for-performance). Revisit the work initiated in 2.4 Market Analysis. See 5.6 Reimbursement Strategy for details on justifying the value of a device. Survey purchasers and perform secondary research to assess comparables. Based on the product/service mix and pricing for the offer, as well as its value propositions, craft and prioritize the key messages that will optimally differentiate the solution from available alternatives. Choose language that will be meaningful and effective with each stakeholder group. Refer back to what has been learned from primary market research, as well as 2.3 Stakeholder Analysis and 2.4 Market Analysis about what resonates with customers in the target market segment(s). Create a marketing communication strategy that outlines vehicles, key messages, and timing for communications targeted at each key stakeholder group. This should include strategies for peer reviewed publications, conferences, CME, reimbursement dossiers, and DTC advertising (as needed). Remember to sequence communications appropriately (whenever possible) so that no stakeholder group is taken by surprise regarding inquiries about the device. Determine whether or not strong resistance is to be expected within or between any key stakeholder groups. If so, develop a public awareness strategy that engages appropriate professional societies, physician groups, hospital groups, etc. that can help resolve the anticipated conflict and/or mitigate it so it does not negatively affect device adoption upon launch. You really need to understand what’s in it for each stakeholder, who the influencers are, who the decision makers are, and what are the most important benefits they’re seeking. How should you talk about those benefits? And what language should you use to do it? Because small differences in your approach can make a big difference in your commercial success.